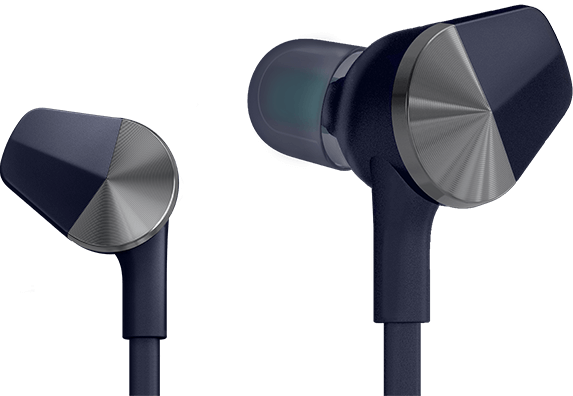 Hear what moves you with powerful audio, a comfortable fit and a durable design that you can count on. Sweatproof, small and seriously durable, Flyer gives you freedom and confidence to take on your toughest workouts. With a durable design, integrated buttons and hydrophobic nano coating that’s rain, splash and sweatproof, Flyer was made to withstand even your toughest workouts. Wear it anywhere, with anything. Unique, low-profile and lightweight, these headphones are small and versatile enough to wear all day, during high-intensity exercise and even with glasses or helmets. The 3-button control box lets you easily adjust the sound of your music and pause or change songs. Go hands-free by using the 3-button control box to answer and end calls while you’re on a walk or working out. With a dual microphone that suppresses external noise like wind, you’ll get high-quality calls in any environment. Flyer is compatible with Siri, Cortana & Google Assistant, so you can use simple voice commands to “Call Dad” & more. With interchangeable ear tips, wings and fins, you can create the optimal headphones for comfort, security and sound quality. Made to stay in place. With integrated wings and fins that sit securely and comfortably inside the ear, these headphones will stay put no matter what workout you’re putting them through. One that’s right for you. No one’s ears are the same. But everyone deserves the same great comfort, security and sound. All of that comes from the right fit. Every pair of Flyer headphones includes different sizes for ear tips, wings and fins – so you can mix and match to find the size that’s right for you. Security comes from the wings and fins. You don’t stay in one place during workouts, but your headphones should. Flyer will, thanks to innovative and proprietary wings and fins that hug the natural shape of your ear and stay secure during exercise. Good sound starts with a snug ear tip. Made with incredibly comfortable soft-gel, the ear tips on Flyer offer a great seal for better sound – all with the long-lasting wear that you want. Choose an ear tip size that seals the ear and blocks sound. Pick a wing or fin that tucks comfortably and snugly into your ear. Test your fit by starting an activity, then change or mix and match sizes if necessary. Precision engineered for crisp audio, powerful bass and dynamic range, Flyer delivers sound that’s optimised for workouts and throughout the day. Precision engineered with high-quality components and an AAC Wireless Codec, Flyer delivers the premium sound you want – all without the wires. Choose different settings for different songs. Some songs just need a boost to bring them to life. Flyer lets you choose from two dynamic sound settings with the push of a button. Classic, crisp sound that’s perfect for your commute, your workday, your workouts and more. From hit records and major motion pictures to popular video games and iconic concerts, the cutting-edge sound technologies from Waves have been used in every aspect of audio production. Now, for the first time ever, they’re also used in headphones. 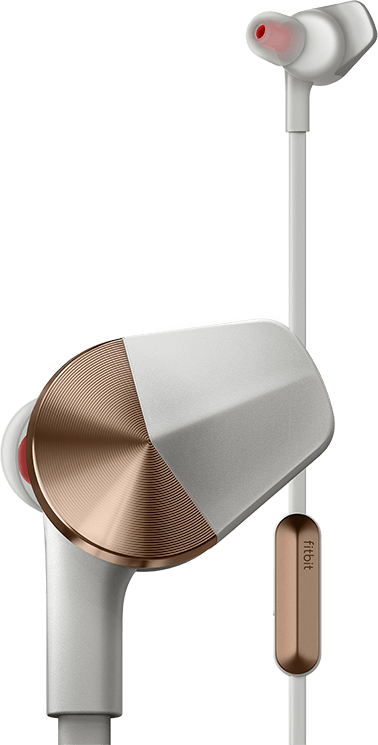 With a solid in-ear seal and high-quality audio system, Flyer uses Passive Noise Isolation to reduce the distraction of outside noises to give you a cleaner sound. From six hours of play time to seamless connections with your favourite devices, the essential features make your experience better. A battery that keeps up with you. With up to six hours of playtime, Flyer has the battery life that you need to boost every workout and make the most of your day. Now you can say yes to last minute workouts and know that you’ve got the music to do it, because a quick charge of 15 minutes gives you a full hour of playtime. Seamlessly swap from one device to another. Flyer connects to two Bluetooth devices at once, so you can quickly swap from listening to music on your laptop to answering a call on your smartphone. Plus, it remembers up to eight devices, so you don’t have to deal with the hassle of re-pairing. Fitbit Ionic experience to the next level. By automatically connecting to Fitbit Ionic, Flyer can take your workout experience to the next level with hands-free, phone-free music and more. Audio cues keep you in the know. Flyer makes listening easier by giving you audio prompts for battery life, song volume, incoming calls and new Bluetooth connections. Subtle, yet sleek—Flyer is style on the move. Rain, sweat, shine or sprint, Flyer stays secure. Low-profile distributed architecture works with helmets, glasses or your go-to hat. The difference is in the details with features like anodised aluminium accents. All day. All night. Always right. Wear them with anything. Put them through everything.